Microsoft Dynamics 365 is the next generation of intelligent business applications in the cloud. It delivers built-in intelligence that infuses big data, advanced analytics, and the internet of things to proactively guide you to optimal outcomes. The power of advanced analytics based on Cortana Intelligence and Power BI visualizations is natively embedded within Dynamics 365 business applications. This means that it’s easier than ever before possible to consume data, draw actionable insights, and adjust business processes to keep pace with the speed of doing business and take advantage of market opportunities. 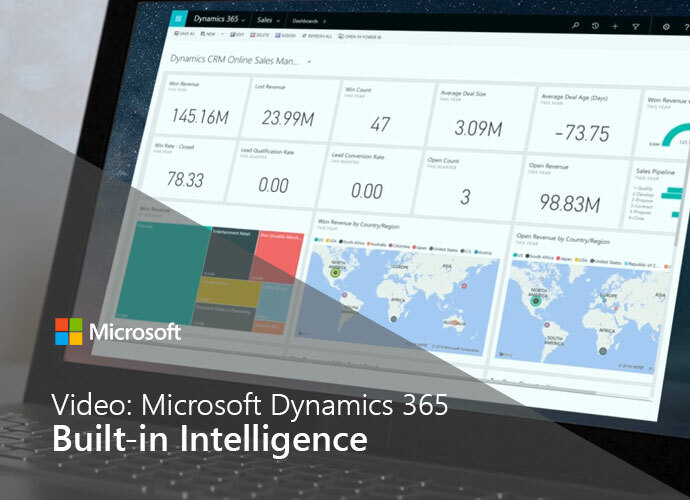 The built-in intelligence of Dynamics 365 enables you to transform every system, device, process, and asset across your organization. Rethink what is possible for your business with intelligent business apps in the cloud.